Dr. Lloyd Fernando is Group Director of SHORE TO SHORE PVT LTD (S2S). S2S manufactures merchandise identification products and services to Global Fashion, Performance wear, E-commerce Digital Brands, Footwear, Retail & FMCG Industries. Lloyd drives the Company Engineering Manufacturing Innovations Centre and S2S Global Manufacturing Print Service Bureau. Co-creation & strategic partnerships have been instrumental and a catalyst in Lloyd’s drive and pursuit to finding intelligent value creation growth opportunities. - Efficiency: ability to see environmental and social waste and creatively and systematically reduce them. - Internalisation: ability to see failed value exchanges and deliberately bring them into the business model. - Collaboration: ability to look for new types of collaborators up and down and outside current value chain. - Whole system design: ability to find advantageous connections across the system. This research has addressed a literature gap and met an industrial need in the field of industrial sustainability. The research provides an understanding of abilities that might be needed to transform companies from today's position towards a more sustainable industrial system. Lloyd describes his PhD journey at CIS, IfM University Of Cambridge as inspiring, and since returning to industry he has a passion to foster learning and create opportunities to integrate leading-edge research with industry. A copy of Lloyds' thesis can be found here. 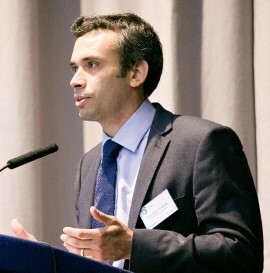 Dr Lampros Litos' research sought to investigate the impact of manufacturing practices (technical, managerial, policy) on energy and resource efficiency in factories. His work applied Design Research Methodology (DRM) with practitioners from a range of industries and introduced a novel maturity model for eco-efficiency. The model was validated through workshops and collaborative projects with companies such as Airbus, Toyota and Asics. Lampros’ professional and academic interests are focused on industrial management, circular economy applications and start-up scaling up. Following up from his research, Lampros supports manufacturing companies to innovate by linking them to emerging technologies through InnovateUK’s Knowledge Transfer Network (www.ktn-uk.org/people/lampros-litos). A copy of Lampros' thesis can be found here. Education, Science and Technology (IFRN/Brazil), involved with lecturing aspects of industrial sustainability. He is the director of the professional master programme in environmental science (sustainable use of natural resource) at IFRN. 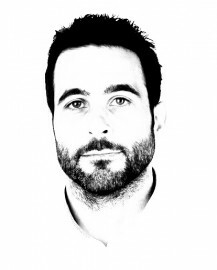 He is also a co-founder of the nucleus of applied studies on corporate sustainability (NESE), which has the aim to develop and disseminate knowledge on environmental and social sustainability practices across industrial systems, including processes, operations, products and service, and supply chain. The purpose of Handson's PhD research was to establish the conditions for enhancing the diffusion of environmental and social sustainability practices across the supplier base from the buying firms’ perspective. The research design was based on a theory building strategy, including a triangulation of different sources of data (e.g. 30 interviews with directors or managers of four sustainability leading manufacturing firms from the beverage, cosmetic and textile sector, and an extensive array of documents) and cross-case analysis and application of diffusion of innovation theory (DoI). The research provided a more comprehensive view on how sustainability practices were diffused through the supplier selection, performance assessment and development. This work is the first instance of considering intra- and inter- organisational factors in the same model for enhancing the diffusion of sustainability practices. Overall, this depicts patterns of the factors and points out the most critical variables influencing the implementation of sustainability practices across the supplier base. This research has the potential to serve as an analysis tool to uncover gaps in activity that could lead to greater adoption of sustainability practices by suppliers, as well as gathering good practice in a structured way. A copy of Handson's thesis can be found here. University of Exeter since Jan 2017. Prior to this, she obtained her PhD degree at the Institute for Manufacturing at the University of Cambridge in Jan 2016. Miying's research at Cambridge was focused on sustainable business model innovation and product-service systems. Miying is enthusiastic about bridging the gap between theory and practice by transforming theory into practical tools to solve real problems faced in industries. She has developed the Sustainable Value Analysis Tool (SVAT) from her PhD to help over 50 companies analyse value uncaptured throughout the product life cycle and to identify opportunities for sustainable value creation. The tool has been used in Europe, China and Brazil for various purposes, including consultancy, business education and university education. Her current research interests are servitization, circular economy, and business model innovation in the context of digitalisation. A copy of Miying' thesis can be found here. Jacky's research included investigating the wind turbine blade waste inventory, understanding the environmental impact of wind turbine blades during its whole life cycle and quantitatively assessing the end-of-life options for wind turbine blades. Sustainability is often considered as an add-on dimension of decision-making in organisations. This project increases our understanding of how sustainability aspects can be integrated into decision making across the organisation. This helps manufacturers to identify opportunities for improving and ease the processes of integration of sustainability aspects in decision making. This research examined the main sources of CO2 emissions from the cement industry and identified opportunities to reduce them. We collaborated closely with a local cement manufacturer to perform an in-depth analysis of their factory. This project sought to understand how policies act as driving mechanisms in promoting industrial symbiosis. Through comparing different policy supportiveness to develop industrial symbiosis between UK and China, this research aimed to find out what policy works well under what conditions and what policy does not.